Every day, hundreds of new cybersecurity jobs in criminal justice are added to job search engines. This is because cybersecurity is quickly becoming one of the most important concerns for businesses and government agencies. Below introduces some of the most popular criminal justice based cybersecurity jobs. Network security is guaranteed through information assurance auditors. These IT professionals are tasked with auditing new and existing information systems and applications in order to verify security controls, system efficiency and compliance with company standards. Therefore, information assurance auditors must have a technical background in network security engineering because they will be continually monitoring and maintaining various networks and systems. Part of this involves evaluating operational quality and performance. Information assurance auditors must perform network vulnerability tests in order to prevent and prepare for possible security breaches. Information assurance auditors that work for private security companies or the government will typically need security clearance. Every day, vicious malware programs flood the Internet with the intent of stealing data, crashing systems and causing mayhem. Prevalent malware threats include exploit, parasitic and rootkit malware. However, malware analysts spend all their time monitoring and analyzing malware programs in order to discover exploitable weaknesses. They accomplish this through evaluating threats, author signatures, conduct research and carrying out competitive testing. They coordinate their work and proposed solutions with cross functional teams. As part of their responsibilities, they design security protocols based on past heuristics and emulation. Part of their time is dedicated to intelligence harvesting through internal and external data mining techniques. Malware analysts must be results-driven, self-motivated and effective communicators. A security systems engineer is responsible for maintaining network security infrastructure. They continually monitor, evaluate and debug hardware and software security systems for failures and inoperability. They are tasked with path finding and resolving technical issues related to system architecture. This involves working with server platforms and related elements, such as OS and BIOS management. They must establish and maintain effective, cooperative relationships with clients and coworkers. This means they must prioritize collaborative communication, information sharing and resolution strategies. The Bureau of Labor Statistics (BLS) states that most computer engineers have a bachelor’s degree. However, many choose to study a computer science program that is accredited by the Accreditation Board for Engineering and Technology (ABET). Cybersecurity jobs in Criminal Justice aren’t limited to just IT or networking. Cyber security professionals also work in sales or marketing departments. For example, cyber security consultants work for major corporations that sell popular security products. They assist their clients in choosing the right security products and services that will protect their data and networks. They may help their clients respond to recent data loss or data breach incidents. 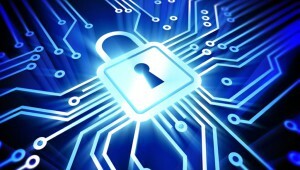 Therefore, they must have accurate knowledge of current security problems and solutions. They act as security advisors with their target accounts through regular contact and business relationship cultivation. They typically work in fast paced environments and handle an exclusive clientele group. The demand for competent cybersecurity professionals will continue to grow with the rising influx of cybercrime.